It is an understood fact that we will never get another chance to make a first impression. This is most true in the case of a job resume. Almost every company use special software to primarily evaluate a candidate’s resume, recruiters are the first people whom you must impress. The language or structure of the content of a resume can definitely rank a job seeker’s chances of getting their dream job. We only have a limited span of time to catch our prospective employer’s eye. So take care to attain it wisely. Your employment dates can show if you are employed or a fresher. So there is no need to highlight your status. An employer needs a hardworking individual who can work up to his maximum on time and who is self-motivated, no need for highlighting the same. A misspelled word will completely eliminate an otherwise excellent candidate from consideration since it addresses lack of attention to detail. While making a CV, spare some time for proofreading. Be sure to include only the relevant skills that can make you a perfect fit for the job. And skills that can make you stand out from others. Do not give a copy content for your resume in addressing your objective. Make a valuable and reliable content and if you are enclosing a cover letter it can be mentioned in it and no need to describe the same in your resume. Enclosing the term “references will be given upon request” at the bottom of your CV is a symbol that a candidate is eager about the same. If an employer wants to get connected to know more details about you, they will ring directly. Everyone assumes that they need references, but they will ask if necessary. Do someone writes a resume for you? So there is no need to use the word I everywhere. It will be clear without stating the same. Stay away from sentences which state you are dabbled with some technology years ago. In this case, don’t add that technology to your CV if you are not well versed in the same. Try to avoid over exaggerations with the word expert, unless you really are. Otherwise, be prepared to explain wisely for their all answers to show your expertise in the respective field. Do not be include negative words in a resume. It should demonstrate what you are able to do and do not disclose what you can not do. Information regarding your family status, personal interests etc. should not be included on a resume. These details do not make the qualifications of a candidate for the job. Your personal interests that do not relate to the job you are going to apply can’t address the qualifications you have for that job. Got some idea about preparing a good resume? Now start writing a perfect and professional one to enhance the probability of getting a job that can boost your career and what you love most. And begin to search for your right job. 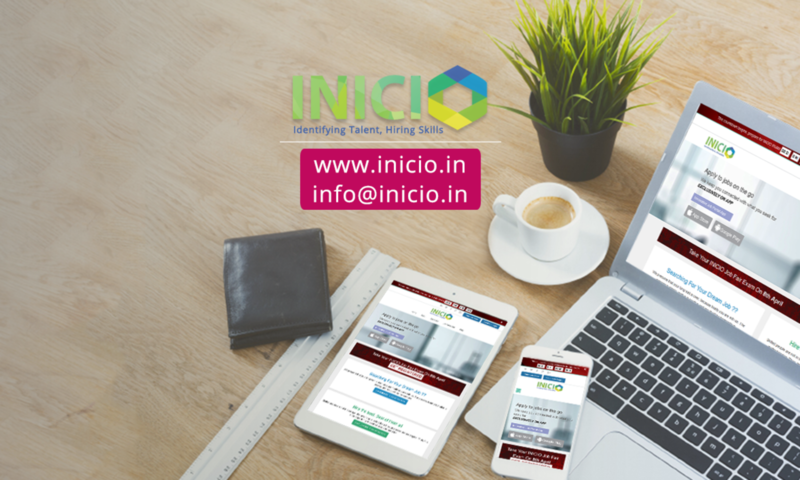 INICIO Job App, the ultimate job finder is here for providing you with solutions for your problems on the job search. It can be considered as a job app, but it is much more than a mere application. The procedure of employment in different streams are turning more driven through technology, and this insisted our dynamic team with professionals to initiate INICIO Job App 2018. We are promptly organized and working to entirely make use of the digital platform in order to regulate a right employee selection procedure for different companies through our specially formatted aptitude test, conducted for freshers in the field, and by which the candidate increase the probability of getting a high demanding job. If you are interested with us, please feel free to ring us at and get connected with the best opportunities for a sound career profile. We can provide you with a plethora of extraordinary job vacancies in various streams. You are provided with a variety of alternatives to choose from. Go ahead with right decisions regarding your career and acquire great heights.